Corfu has over 200 Km. of coastline and in excess of 90 beaches and coves both sandy and shingle. Many of the coves are only accessible by foot or by boat. Even in the height of summer, it is possible to find quiet beaches where you may be the only people there. In 2009, over 30 beaches on the island achieved European Blue Flag status which is awarded for beach cleanliness and water quality. Confusingly, there are two beaches with the name Agios (Saint) Georgios. 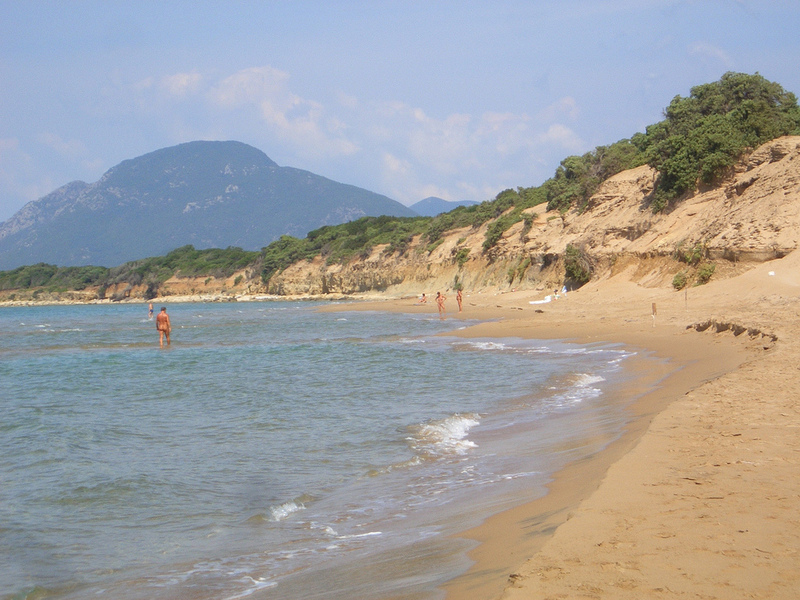 The more northerly has a large sweeping sandy beach, with a scattering of tavernas. The second is in the south-west of the island near the Lake Korission. It is a long sandy beach backed by olive groves. Chalikounas Beach. A very long quiet beach in the south-west of the island. Popular with wind and kite surfers. Glyfada. A long wide sandy beach which sometimes has rough water. Although some people think it is a little quiet, most say it is the best beach on the island. Issos Beach, Next to Chalikounas. Sandy beach backed by sand dunes. Lefkimmi Beach. A wide long sandy beach in the south of the island. Calm shallow water. Prosoudi Beach. A remote beach with a mixture of sand and pebbles, backed by high cliffs. Acharavi. The main town and resort on the north coast with a good long sandy beach. Agios Stephanos. A small popular resort favoured by families. A large sandy beach. Ermones has a small shingle beach surrounded by dramatic hills. Agios Spiridon. On the northeast corner of the island, overlooking Albania. Two safe sandy beaches with clear turquoise water. Aviaki. A long beautiful beach with clear water. Kerasia. A quiet cove between Kouloura and Agios Stephanos. There is a scattering of big private villas in the trees behind the beach. Dasia and Ipsos. A narrow stony beach. The resort road runs at the back of the beach. Good variety of tavernas and shops. Kassiopi. A busy resort with a pretty bay and a pebble beach. Crystal clear water. Mintiotissa Beach on the west coast is situated at Pelekas between Glyfada beach and Ermones Beach. The beach is backed by tree covered cliffs which afford a degree of privacy. 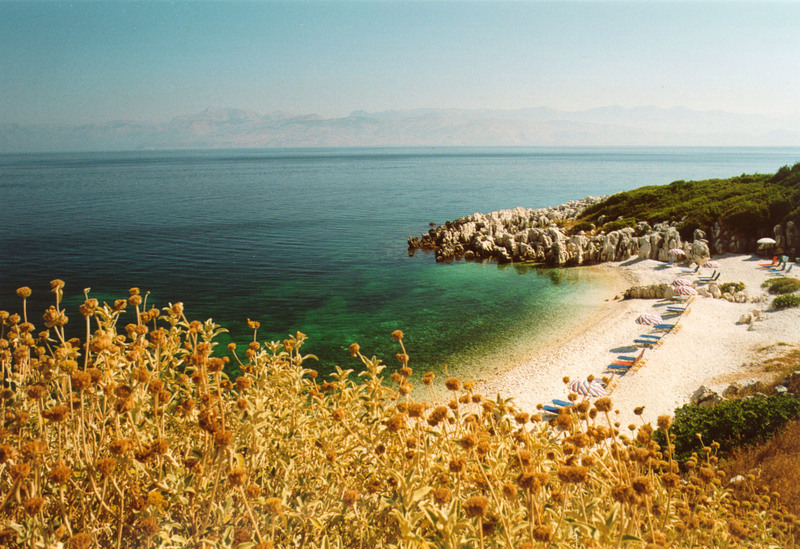 Almiros Beach is situated on the north coast between Archaravi and Kassiopi. Roda. Good sandy beach. The area is popular with British tour operators.